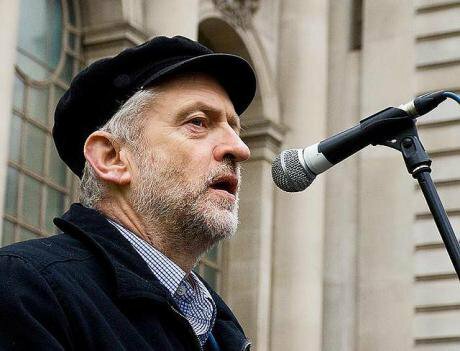 If Corbyn wins, he will have to be willing to accept some radical changes to the way that politics works. Electability has not always been an overriding consideration for Corbyn’s critics - Tony Blair squandered Labour’s support in his Iraq adventure, Gordon Brown refused to resign when it was clear that his leadership would cost Labour the 2010 election, and David Miliband declined to challenge Brown when it seemed a challenge might restore Labour’s fortunes. All the candidates are talking as though their ideas and leadership could construct a new majority on their own, but the evidence is strongly against this. Jeremy Corbyn - or any other leader - will need to move out of his and the party’s comfort zones to win. This means a non-Tory government will not only require Labour need to gain seats in England that it failed to win in 2005, 2010 or 2015, but will probably require a broader base. This is a moment for thinking laterally about the predicament of the large majority who did not vote Conservative - and some who did but now don’t want their new policies - in finding a way forward. This year’s Conservative victory resulted - far more than the Labour contenders are recognising - from how the Tories exploited the divisions among the anti-Tory parties. Miliband failed to respond effectively to his prospective parliamentary dependence on the SNP, allowing Cameron to paint Labour as a recipe for anarchy. Any Labour leader will have to deal with this and other coalition problems, which none of the candidates are even mentioning in their campaigns. There are two routes to address these issues, which are not mutually exclusive. One is to achieve understandings between the opposition parties, which could be prepared by common opposition to the (often unmandated) policies of the Tory government. This could lead to an informal alliance at the 2020 election - or the voters could do it themselves, as they have in the past, through tactical voting. However the Tories, despite benefiting from coalition themselves, seem to have successfully demonised the dangers of a hung parliament. The national question will be trickier. It will be difficult for Labour (and the Liberal Democrats) to ally with the SNP so long as the latter sees independence as a short-term goal. If the SNP goes all-out for a new referendum after next year’s Holyrood election, that will make their participation in a UK-wide alternative to the Conservatives impossible. A referendum campaign would divide and divert any non-Tory momentum - even if it resulted in a new ‘No’, as is likely because the economic fundamentals have moved against independence. The first big challenge, in any case, will be Europe, where the opposition must avoid a different trap - condemning the failings of European Union democracy and exposing Cameron’s cosmetic renegotiation, without embracing the dangerous tendency to reject the European project altogether. Corbyn has already half-stumbled over this issue. Although the questions of Eurozone austerity and just migration policies resonate powerfully, Corbyn - or whoever is the Labour leader - will have their work cut out to find an internationalist way through the referendum dilemmas that boosts rather than fragments the party. Corbyn, in contrast, has an unusual record of international engagement, underscored as Gary Kent suggests by anti-Americanism. Yet he is not as committed to authoritarian governments as Gordon Brown suggests. I checked out links offered by Nick Cohen to back this case, and they actually showed that Corbyn was supportive only of Hugo Chavez - not of Iran, Gaddafi or Putin. Deeper sources of inequality, like the exemption of property gains from tax - Corbyn’s own Islington voters recently earned twice as much from untaxed housing gains as from taxed work - remain off limits. Since the Tories have effectively abandoned universal home-ownership, the left could claim the idea of a ‘property-owning democracy’ for itself - but only if it was prepared to radically reform the housing market and the challenge the vested interests in the status quo.